Toddlers might be a little bit ignored as a potential connsumer base by toy manufacturers, as they’re not yet apt at pressuring their parents to buy the latest and greatest new thing on the market. But with a little effort, there’s still lots of toys and gifts for 3-year old boys and 2-year olds to be found. Some of them classics, some of them novel, there’s something for every parent’s taste (since the little ones aren’t really old enough to discern). The classic Goodnight Moon bedtime story has entertained generations of children with its jovial rime and soft cadence. A little bunny, reluctant to fall asleep, does a whimsical ritual of telling goodnight to the moon and every object in his room, from the three stuffed bears sitting on chairs to the broom. This product is accompanied by brightly colored images featuring all the objects mentioned in the poem, so that the child can find and identify them for a fun bedtime game that will also act towards increasing their vocabulary. This dinosaur playset earned top marks from the customer reviewers on retail sites, and it’s easy to understand why. First of all, they’ll most surely prove popular with little kids as every preschooler loves dinosaurs. They also have wheels, which might give a wrong idea about the ancient saurians to a child, but it does make them more engaging toys, increasing the possibilities for interaction. 4 to a set, all figures are made from BPA-free plastic and lack any sharp edges, pointy bits or easily removable parts, for hours and hours of safe play. This little crown-shaped beanie is just the thing to give your toddler an air of distinction for a special occasion, like their birthday or a family photo. All the extra woolen yarn used for the “crown” will make this item especially warm, so it can also be used as a regular hat in cold days. Although the shape usually holds its integrity well, the material is bound to stretch with wear, but this can be seen as a feature rather than a bug, since it means it will fit the child longer. It comes in multiple colors and it has a plastic “diamond” in front as an extra touch. A classic baby toy, the stacking rings promote muscle development and help increase the child’s coordination. This particular model provides visual stimulation with brightly colored rings, but also audio encouragement, with no less than 40 tunes coming from the monkey placed at the top of the ring pole. These consist of funny sounds, as well as spoken phrases and short melodies, so that the child will get pleasantly surprised with new variety. It is intended for use with children between 6 to 36 months old, and it works with 3 AAA batteries, which are not always included. This is an adjustable basketball hoop primarily intended towards older toddlers who are coordinated enough to get a ball through a ring mounted at eye or forehead level. In its maximum height setting, the little player will even have to jump in order to score a hit. It also comes with 3 basketballs, so that he can play alongside his friends. We don’t need us to tell you how much this type of toy will work to improve a little kid’s motor functions and coordination, especially as it can be comfortably used indoors. After all, a game of horse doesn’t take as much space as other sporting activities. This is an elephant-themed security blanket intended to encourage your baby or toddler to self-soothe whenever he or she is feeling down. A soft pachyderm head stick out from the center of the blanket to provide the baby with a plushie trunked friend. At 14 x 14 inches in size, this will be easy to carry around by a toddler. The whole item is grey, which makes it suitable for both boys and girls, and people who’ve purchased it find this item to be remarkably soft and well put together, with no loose strands or flakes. Furthermore, it is machine washable for extra convenience and it can be tumble dried. Cooking toys are something we most readily associate with girls, but before getting put off by that consider how many women pizza bakers you’ve seen so far. Not many, to be sure, and this pizza oven playset from Melissa & Doug covers most of the aspects of running a pizzeria as fantasy play. There’s a cooking station with moving parts, a 4-slice pizza on which the child can place a whole number of ingredients, including condiments, instructions on how to prepare the “pizza”, a cardboard box to fit it in, and a stack of dollar bills. Puzzle blocks are some of the first brain teasers many of us have tried out, and intellectually focused personalities are sure to derive great enjoyment out of it. This puzzle from Toy Chest Nyc comes in the form of 9 wooden blocks, with images painted on each side. These can form into 6 friendly-looking farm animals, but the manufacturer advertises that different images can fit into one another to create whimsical hybrids, providing the child with hours of imaginative fun after the 6 main puzzles have been solved. The paint is certified as BPA-free and all of the people who purchased these were impressed with the level of quality. Since the harming effects of the BPA found in some plastics has come to light, wooden toys are back in vogue, especially for small children. This is a high quality wooden giraffe, painted in bright colors and featuring a set of wheels so that a 6 -3 year old can drag it around by a string, which comes included in the package. The child will find it great fun to run around in the company or his giraffe follower, improving his leg muscles and agility. Since it’s solidly built, with laquer protecting the wheels, this toy can even handle being dragged over pavement. This rocket ship tent is big enough to house one or 2 older toddlers during play sessions, yet it can fold into a neat little package for storage. It is a pop-up construction that rests on poles, which makes it easy to set up without the use of any tools. Made out of 100% polyester, this alternative is easy to clean under a shower head or hose while also water resistant and certified free of potentially harmful chemicals. There are 2 mesh windows for proper ventilation and the door can be closed via a flap. Plus, it doesn’t even cost a fortune. There might be no better way to introduce a toddler to maths and capitalism than this colorful toy cash register from Little Tikes. It has a lot of parts to interact with, such as coins that could be dropped onto each of the 3 slides below, a handle that opens the cash drawer and a credit card reader, that will make coins automatically drop into the register. There are number and color associations to be made, as the plastic chips playing the role of money are either orange, pink or yellow. With no sharp edges or small parts of any kind, it’s safe enough for small kids to play with. This battery-powered drum set will allow your toddler to associate lights, colors and sounds, while playing along to 9 pre-set tunes of different genres. There are 3 other play modes besides this one, which will encourage him to either beat the drums by numbers, letters, or freestyle. The toy consists of 3 drums, with each making a different sound, a cymbal, and two plastic sticks. Since it can be used in so many different ways, either as an engaging game or just something to make noise with, it can prove a lot of fun for kids of different ages. This is a 50 page activity book intended for children as young as 2, but also challenging enough for older rugrats to enjoy. Once armed with a pack of crayons, your offspring can start expressing himself on any of the pages dedicated to free play, or closely follow instructions for drawing simple things like a tree or a house. There’s also 70 stickers of various objects to mess around with, giving him the opportunity to improve his dexterity, but also vocabulary. This is made of high-grain paper to stand the abuse a toddler might put it through while the stickers are rounded and easy to handle. Bearing a Harley-Davidson sticker on the side, this Fisher-Price toddler-powered tricycle is sturdy enough to handle both indoor and outdoor use, on either hardwood floor or smooth tarmac. The fork and handlebar piece is especially thick, so it can take on the weight of a 4 or 5-year-old leaning on it, while the pedals are big enough for the child to get a good grip. There’s a luggage compartment underneath the seat and a clicking “key” which simulates the ignition of the real thing. While mostly painted in silver and a cool jet black, various bits of it are colored in a high visibility orange tone, so they’ll be easier to see around the cul de sac. Parents find this to be a great educational tool, as it features literally hundreds of animal photos, neatly separated per categories, like baby animals or pets. The graphics are kept simple in order to draw a toddler’s attention, with each image imposed on a pastel-colored flat background. All of the animals are named and various riddles are placed throughout the book to encourage play for older children. This is suitable for toddlers as young as 2, since the thick pages can stand quite a deal of abuse and the individual images are colorful enough to draw their attention. Let’s be honest, finding perfect baby gifts is a handful these days. Since the market seems to be overflowing with various games and toys, purchasing something that a two-year-old might like looks like a next to impossible task. Moreover, kids this young have very mixed ideas about what they like or don’t like, so your gift should be either something you know they love or something more general that boys this age are bound to take to no matter what. The bottom line is, buying gifts for babies is a task that demands a lot of time spent doing online research. However, if you are looking for an easy way out from this daunting process, this buying guide might be of help. To make it easier for you, we’ve done the searching part for you, and we found out just what you should be looking for when in the market for the gifts for 2-year-old boys. This list was put together after reading a series of online blogs, product reviews and parents’ opinions on what would make a great gift for toddlers. So, keep on reading for more help on deciding on an item that would be a good fit for the adorable youngster you are shopping for. Before you actually start the process of browsing the web for the coolest toddler gifts, you should think about what the toddler you have in mind likes. If by any chance, you know he is into a particular TV series or a children movie, the most obvious choice would be to go and buy a toy inspired by that movie/series. If, however, you don’t have a clue about what he likes, it is time to consider purchasing something no toddler can say no to such as an electronic pet dog, or, why not a pretend fishing set. 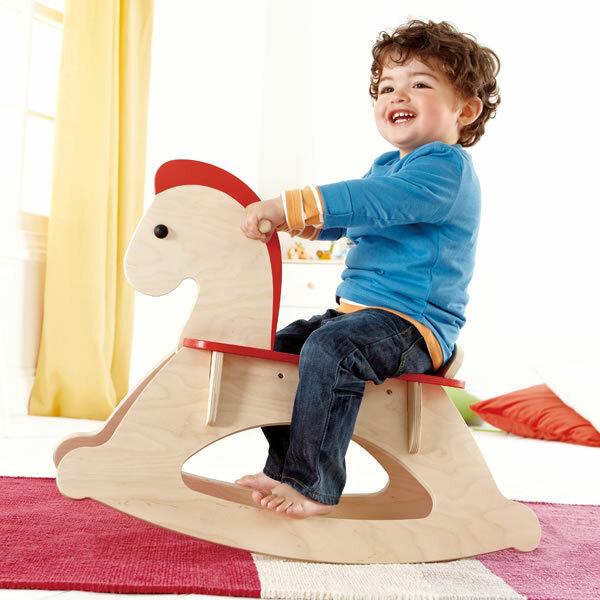 Because you are in the market for toddler toys, before deciding to order anything make sure that you take the time and verify whether or not that particular toy is considered appropriate for kids under three. As you already know it, two-year-old toddlers have a tendency to explore any small detail of their toys. As a result, items that can be easily taken apart can pose a problem as the small explorers might be curious enough to try to eat the parts that are tiny enough. Therefore, pay extra attention and try to avoid settling for any type of small-sized Lego toys. 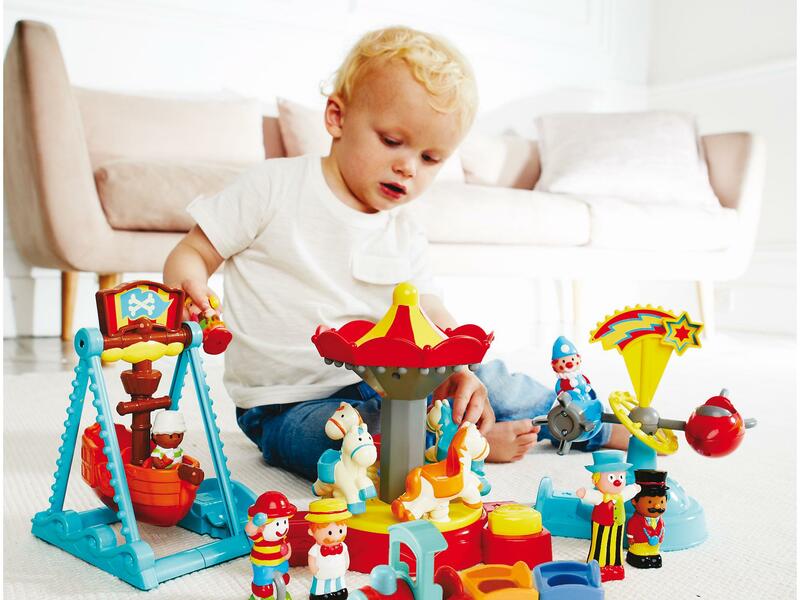 As an alternative, you could order some fun toys he could play with during bathing time such as fun ducks or a nice pirate ship that can act as a fun companion during sponging time. As any best gifts for toddlers reviews are prone to point out, another important thing you should have in mind before ordering anything is the fact that the toy/game you choose has to be age appropriate. Even if buying him a nice 100 pieces puzzle set might sound cool, have in mind that, most probably he won’t be able to complete it by his own. Therefore, he won’t be able to enjoy it either. However, if you want a toy that is both interesting and instructional, buy him a learning kit. By doing so, you can rest assured that your present will be highly appreciated as he and his parents will get to spend additional time together learning about new things. So, why don’t you choose a drill and learn toolbox kit? Ergo, the toddler will have fun playing with your gift while still learning to use his imagination. Moreover, if he ends up being a furniture designer, you’ll get the credits as being the one who handed him his first toolbox! Similarly, a collection of bedtime stories is another great idea as it will surely be appreciated by the parents as well. Having a bunch of nighty-night stories to choose from means that the toddler will get to get familiarized with a handful of educational tales. And, most likely, you are sure to score some extra points with the parents also, as they are sure to love this educational gift. When you first thought about cool toys and gifts for 2 year old boys, one of the thoughts that most likely crossed your mind was to buy a small bicycle. However, hold your horses, before going online and searching for toddler bicycles for sale, take a moment and think whether the toddler’s parents have enough room for him to play with this new toy. Although buying cool gifts is prone to make you well-liked by the little one, you should definitely take some time to consider if the parents approve of the gift. So, settle for something that will not be considered a handful. In this regard, you should avoid any toys that involve using water or ball throwing, as parents usually abhor these games. If you want to be a cool gift giver while still not upsetting the parents, another feature you should pay attention to is the noise volume that your `gift` is able to produce. In other words, if you end up buying a toy that sings or rings, try to find one that has a noise control function. This way, the toddler will be able to play with it without bothering other children/ the neighbors. Likewise, it would be best if your gift could not be instantly transformed by the toddler into a `weapon` against others. Because two-year-olds have trouble understanding the concept of hurting others, sometimes, unbeknownst to them, they can do this. To make sure this kind of behavior is avoided, you should refrain from buying toys with sharp edges. And, although not all children are likely to do something like this, it is better to be safe than sorry.